I then came into Adobe Illustrator and started off working with the pen tool and stroke weight. The illustration began to lose some of its vintage charm. I decided it would make more sense to go in with the pen tool and draw all of the shapes as shapes. After letting it sit over night, I looked at the "H" and wanted to try again. This time around, I stuck to a more modern, but still vintage-inspired look to the illustration all together. 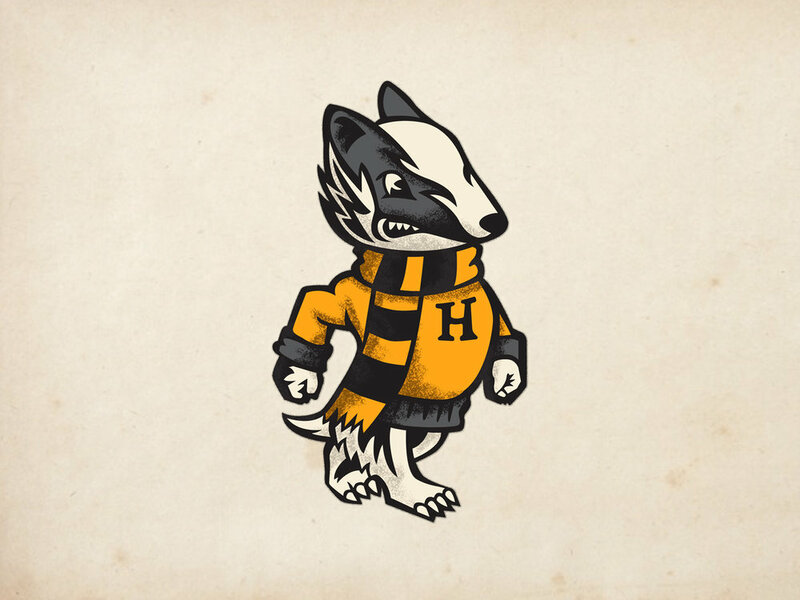 I'm happy with how the Badger of Hufflepuff turned out. 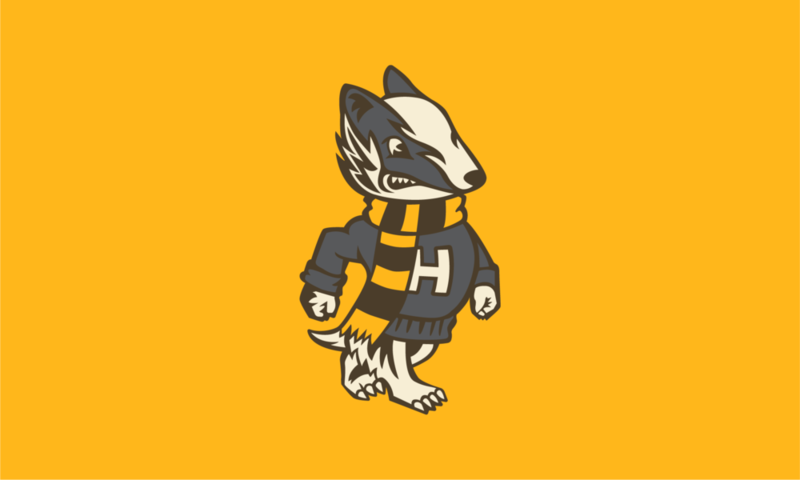 I'm going to push myself to try another one of the houses and eventually put them all up on my Society6 page. It's hard convincing a client that a sketch can become even more than what it is at its most simple state. I'm hoping to have this blog be a place of process to show how a project can transform from sketch to final and beyond. I guess the only way to start is to actually start.